It will soon be that time of year when vibrant festivals, outdoor activities, and delicious cookouts occupy our weekends. With busy weekends come unhealthy food choices and Cigna is on a mission through its Health Improvement Tour to ensure Latinos stay on track of their health. We spoke to medical specialist Dr. Doris X. Muñoz-Mantilla who shared insight as to how Latinos can live their best life. Lawndale Bilingual News: Cigna is on a mission to educate Latinos on the importance of being pro-active when it comes to their health through its national Health Improvement Tour. From your standpoint as a physician, tell me about the benefits of being accountable for your own health? Dr. Doris X. Muñoz-Mantilla: Being proactive about using your preventive care benefits is essential for Latinos. This includes going to the doctor for an annual check-up and knowing your key health numbers – blood pressure, cholesterol, blood sugar and Body Mass Index (BMI). These four numbers are responsible for the majority of preventable chronic disease, are main drivers of managing and reducing health care costs and key to taking control of your health. 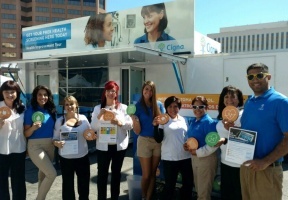 That’s why Cigna’s national Health Improvement Tour kicked off in Phoenix in 2016 and has been delivering free health screenings and health coaching across the country ever since. Summer festivals will soon be in full-swing, which leads to unhealthy food choices. What preventive measures can Latinos take to ensure a healthy lifestyle this summer and all year round? A healthy lifestyle is linked to good health. Summer is the time of year to enjoy more outdoor activities, so I would recommend our Latino community make an effort to get outside and exercise. Find an activity that you can enjoy and (if possible) take your family with you, or schedule a daily walk. As little as five minutes a day can make a difference and will set the starting point for a good habit! Making healthy food choices is also a good way to keep yourself healthy. Healthy choices include, eating fresh vegetables and fruits as well as lean protein and healthy fats. I would also recommend avoiding drinking sugary drinks like sodas, energy drinks and processed fruit juices. If you haven’t already, schedule your annual check-up! Knowing where you stand is the first step in making healthier choices for you. According to the Centers for Disease Control and Prevention, Hispanic adults are 1.7 times more likely to receive a diagnosis of diabetes and 24 percent do not control their hypertension regularly. Please reiterate the vital necessity for Latinos to take control of their health? It really is crucial for Latinos to take control of their health. Not only are Latinos more likely to receive a diagnosis of diabetes, they are 40 percent more likely to die from it. The CDC also reports that Americans only use preventive services, such as receiving your annual check-up at about half the recommended rate, even though it’s covered with most health insurance. Latinos are also less likely to seek health screenings or preventive care compared with their peers. Regular health exams can help find problems early on or even before they start, when chances for treatment for a cure are significantly better. The good news is you can easily determine your key health numbers as part of your annual check-up. The really good news is that you can typically improve those numbers through lifestyle changes and treatment. How do you hope the Health Improvement Tour changes lives? Since its start in 2016, Cigna’s Go. Know. Take Control. 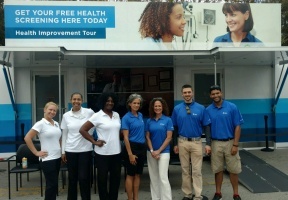 Health Improvement Tour has been delivering free health screenings and health coaching across the country. Our hope is to motivate everyone to take greater control of their health. To learn more, schedule your annual check-up and visit Cigna.com/TakeControl (Cigna.com/TomaControl en español).